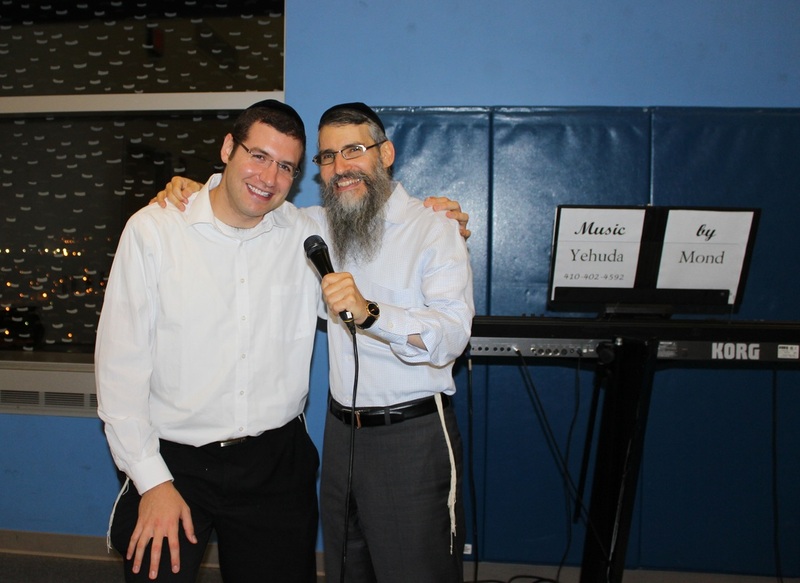 As a keyboardist and one-man-band, I have collaborated and performed with Avraham Fried, Yaakov Shwekey, Baruch Levine, Dovid Gabay, Lipa, Simcha Leiner, Yehuda Green, Yehuda!, Ari Goldwag, Eli Beer, Eitan Katz, Shlomo Katz, Benny Friedman, The Moshav Band, Avraham Rosenblum and other members of the Diaspora Yeshiva Band, Eli Gerstner, Uncle Moishy, Shauly Waldner, Dudi Knopfler, The Mezamrim Choir, Yoel Falkowitz, Rav Shmuel Brazil, Sruli Twersky, Cantors Dudu Fisher, Joseph Malovany, Yaakov Motzen, Avi Albrecht, and many others. I lived my formative years in Jerusalem, Israel, where I took music lessons and became deeply influenced by many genres of Jewish music. 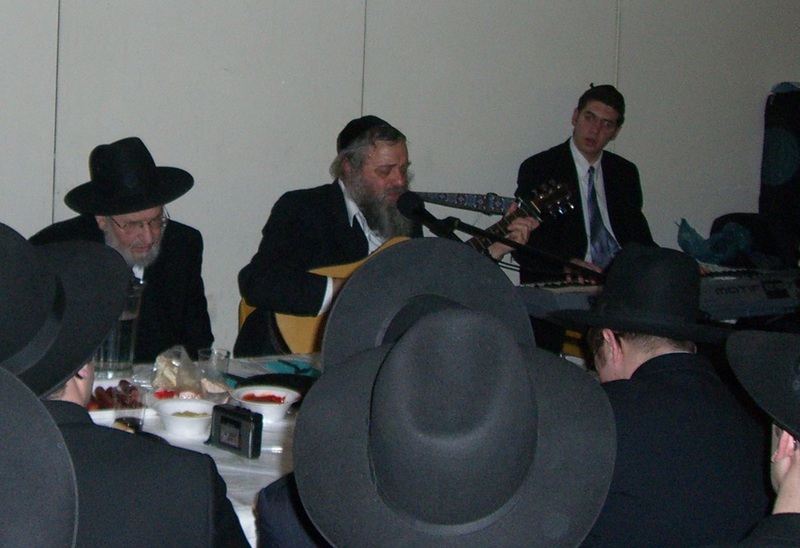 Whether it was listening for hours to Jewish music of the '60s and the '70s on our record player, being swept up by the great hits of the late '80s and the '90s, absorbing Chassidic nigunim at a community Tish or Simchas Beis Hasho'eiva, or soaking up Sephardic music from my environment, my repertoire was quite extensive by the time I moved back to the States. 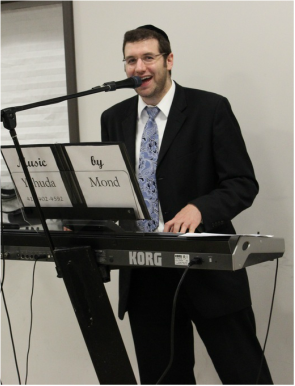 Having taken piano lessons, played at numerous class events during elementary and middle school, I made my debut as a one-man-band in the bar mitzvah scene at the age of 14 - at my brother's bar mitzvah. 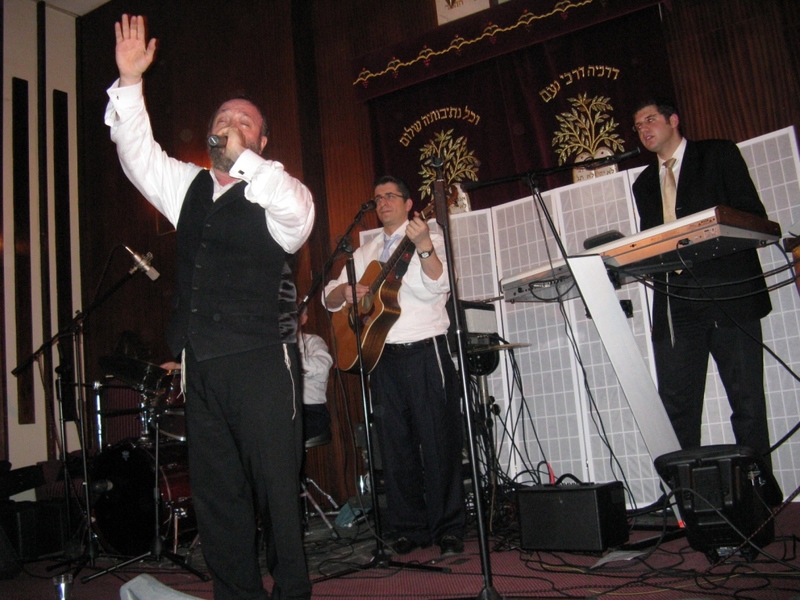 Ever since, I would spend my time at weddings and other events listening to other Israeli One-man-bands, as well as legendary orchestras such as R' Chaim Banet, Ruvi Banet, Z'ev Vindish, and Moshe Berlin. While in Yeshiva, I taught myself to play accordion after discovering an abandoned accordion in someone's miklat (bomb shelter). My new accordion-playing skills were put to good use before Purim, when my friends and I would go door-to-door in Yerushalayim and B'nei Brak, collecting money for our Yeshiva. By that time I was playing guitar and drums as well. 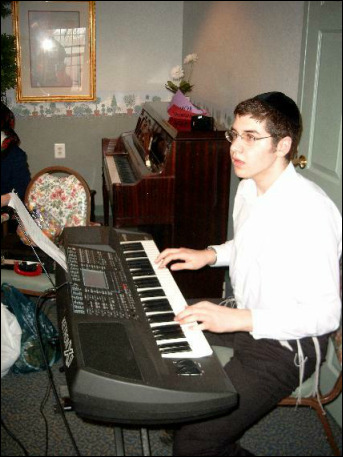 After moving to Baltimore and becoming a student at Yeshivas Ner Yisroel, it wasn't long before Yeshiva Lane families started hiring me to play at vorts, sheva brachos, and bar mitzvahs, which I took in my spare time. In 2004 I joined Baltimore's Zemer Orchestra as a keyboard player and accordionist. I also enjoyed a stint as accordionist for the Baltimore Klezmer Orchestra, as well as being a member of Baltimore's choral/chazzanus group Who Knows Five. 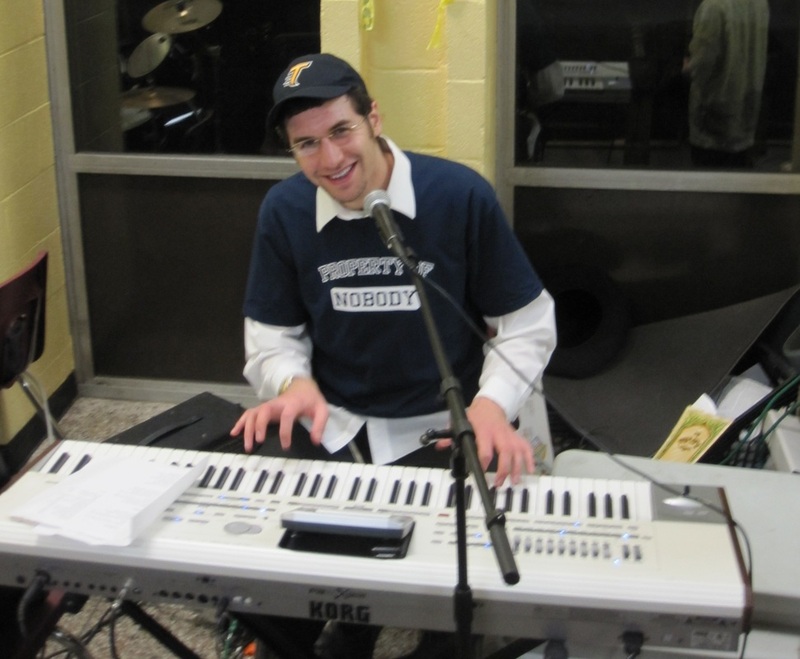 Over the years, I have be"H become Baltimore's favorite one-man-band at Bar Mitzvahs, vorts, sheva brachos, and school mesibas, receiving publicity via rave reviews traveling by word-of-mouth. I pride myself with my extensive repertoire of Jewish music, which is sure to please members of any generation. My goal is to provide music with "ta'am" - taste, to which guests and family alike will enjoy listening. Despite a busy day job as an internal medicine resident, I still enjoy playing at simchas at any opportunity. 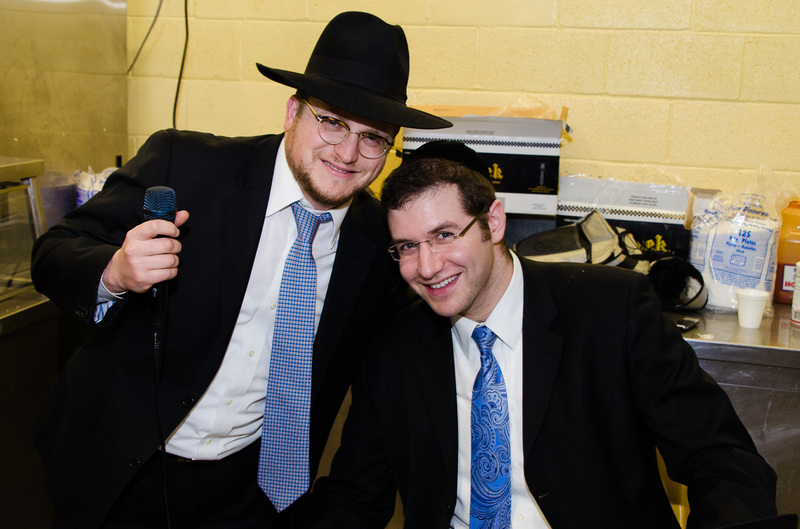 When you attend a simcha, it’s nice to hear a lot of the new, recently-released songs mixed in with the oft-played classics. But sometimes, you feel like something’s missing: The music of yesteryear. 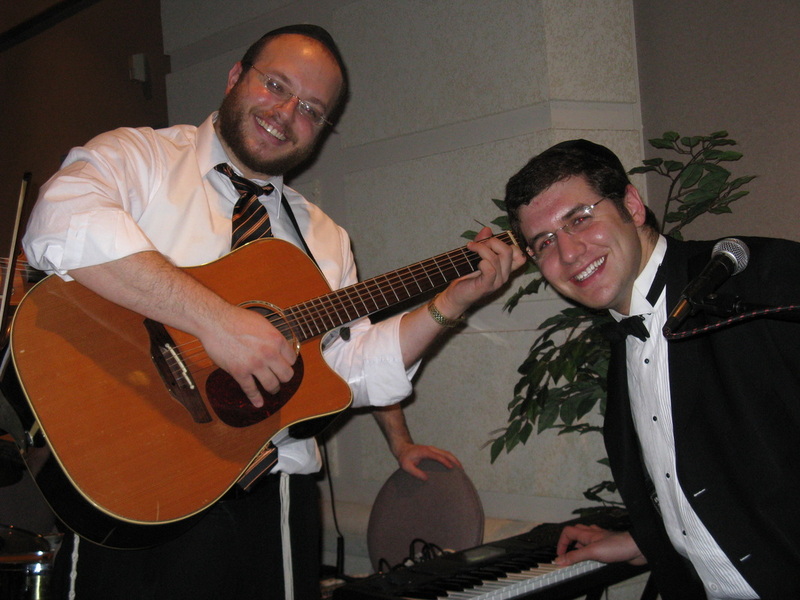 I have an extensive repertoire and I try to incorporate older musical gems into the simchas I play. My motto is: Good music has no expiration date. The hartzigeh, Torah-infused niggunim of the Roshei Yeshivos in Europe, Eretz Yisroel, and the U.S.
Needless to say, I follow the newest developments and trends in Jewish music and am well-versed in the recent music, including the Shmueli Ungar, Yaakov Shwekey, Simcha Leiner, Mordechai Shapiro, and the many chassidishe singers adopting the modern sound. In addition, I have a wide repertoire of classic Sephardi music, and can play an entire simcha with nothing but Chabad niggunim. 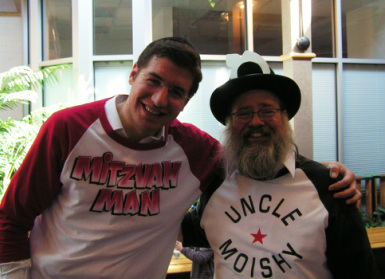 Cousin Yehuda the Mitzvah Man!